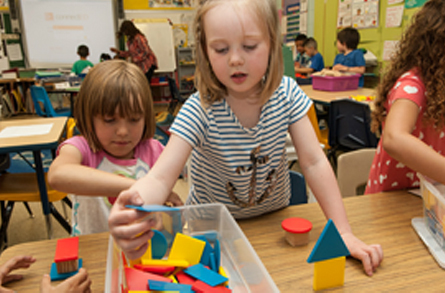 Everyday Mathematics is grounded in an extensive body of research into how children learn. Everyday Mathematics is grounded in an extensive body of research into how children learn. The design of Everyday Mathematics allows children to gain an understanding of mathematical concepts and a solid mathematical foundation. Every edition of Everyday Mathematics is rigorously field tested and revised. 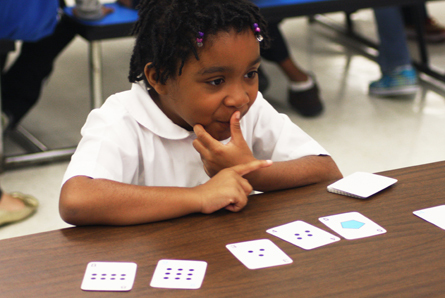 The iterative development process helps ensure that the program is consistent with the ways children learn math and that understanding is built over time. With over 25 years in classrooms, Everyday Mathematics has consistently been shown to be effective in increasing student achievement in a variety of measures as evidenced in these third-party studies. Everyday Mathematics continues to give every child the opportunity to achieve. 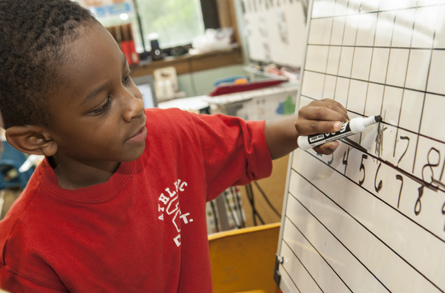 These stories provide a closer look at some of the schools, educators, and students who are succeeding with Everyday Mathematics . Everyday Mathematics (EM) materials were designed purposefully, according to research-based principles, with features that provide a range of opportunities for students to learn. They were designed to be flexible and provide teachers with a range of resources for meeting their students’ diverse learning needs. The EM authors recognized that no two teachers will use the materials in exactly the same way. Implementation measurement is a powerful strategy for understanding how and why teachers are implementing the EM materials in particular settings, the most important influences on their use, and how and why EM best works in a particular setting. 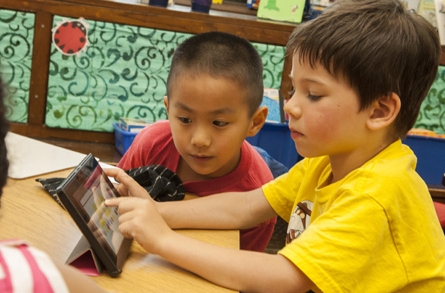 Implementation measurement provides information about what is actually happening in schools, classrooms, and districts “on the ground,” and why. Outlier Research & Evaluation, a research and evaluation group at UChicago STEM Education, has developed low-cost, practitioner-friendly resources for measuring Everyday Mathematics implementation, customized for both EM 3rd Edition and EM 4th Edition, including a teacher questionnaire that provides a “snapshot” of teacher implementation of EM over a unit of instruction.